Thank you for you interest and support to the Ann-Hua Rainbow Project -- 安华彩虹计划。Welcome to the new website! 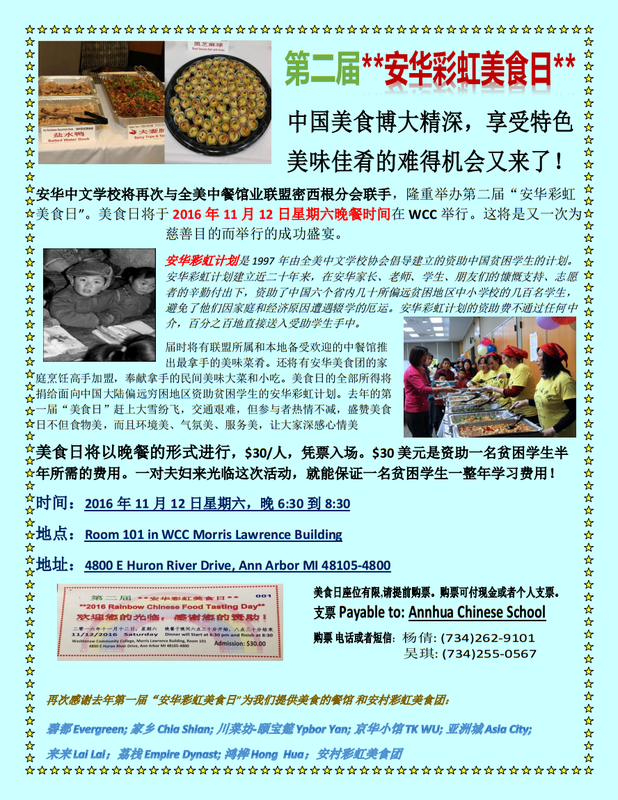 Ann-Hua Rainbow Project (AHRP) was founded in 1998 at Ann-Hua Chinese School (AHCS) in Ann Arbor, Michigan, by Dr. Liqun Cao, then a parent volunteer. The mission of AHRP is to help support the basic education of students in China through need-based grants to individuals and/or to their school, and to foster communication between students of the Ann-Hua Chinese School community and students in China. We hope to promote exchange and friendship between the youth of United States and China. The project is named Rainbow to symbolize the hope for such love and care to span across the geographical distances. Since its establishment in the year 1998, AHRP has raised over $20,000 from donations and fundraising activities that has directly helped more than 800 students in 13 schools, mostly at the elementary level, in different parts of China. AHRP has been operated completely by volunteers and 100% of all donated funds have been used on helping needy students and schools in China directly. Many students in rural and remote areas in China are still in very difficult living conditions that create difficult challenges for them to attend school. You can help those kids to realize their dreams by keeping them in school to get as much education as possible. Some of us and our children may take education as granted, but for many kids in China (and also other places in this world), going to school is their biggest dream. For as little as $40 dollars a year, you can help! Find more details about Ann-Hua Rainbow Project and the many different ways that you may be able to support it on this website. Continued support from the community is the only reason that Ann-Hua Rainbow Project is going strong. Donate To Rainbow Project: Donations to AHRP may be tax deductible. The history of AHRP: Details of Ann-Hua Rainbow Project, from the start in 1998 to the present status.